McDonald's CEO says chain will use robots in the future. The CEO’s remarks come in response to many people—including a former McDonald’s CEO—arguing that increasing minimum wage means the end of entry-level jobs at fast-food chains. “It’s cheaper to buy a $35,000 robotic arm than it is to hire an employee who’s inefficient making $15 an hour bagging french fries,” former McDonald’s USA CEO Ed Rensi said in an interview on Tuesday on the Fox Business Network’s Mornings with Maria. “It’s nonsense and it’s very destructive and it’s inflationary and it’s going to cause a job loss across this country like you’re not going to believe.” Rensi served as McDonald’s USA’s president and chief executive from 1991 to 1997, and has spoken out extensively against increasing the minimum wage. However, Easterbrook insists that, even as McDonald’s explores automation, workers do not need to be concerned about losing their jobs if minimum wages increase. So far, his track record at McDonald’s backs his argument. In the past year, McDonald’s increased investment in employee wages and benefits has already had a significant impact on customer service—one of the most problematic parts of McDonald’s business. According to Easterbrook, customer satisfaction scores were up 6 percent in the first quarter, compared to the same period last year. Automation is an increasingly important aspect of the restaurant industry. 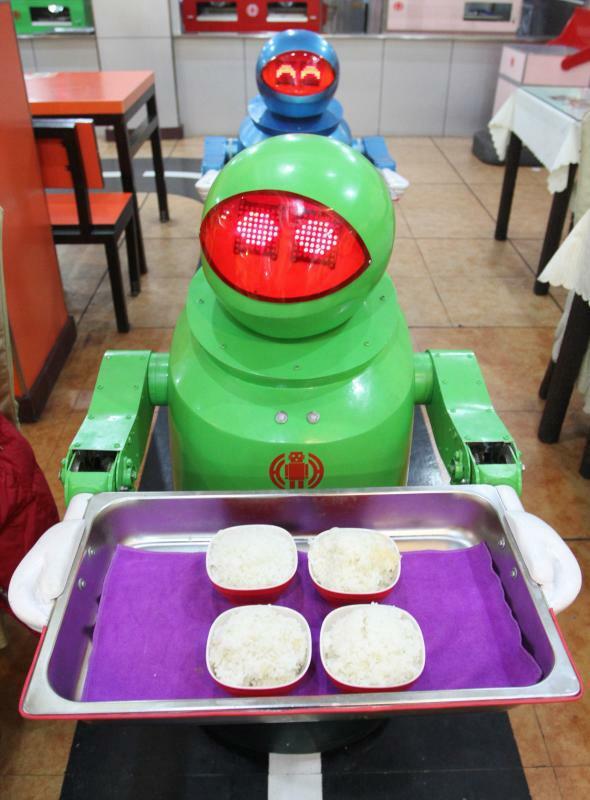 However, if Easterbrook is correct, the rise of robots doesn’t mean the end of fast-food jobs. It simply means business can become more efficient, as employees are more fully dedicated to improving customers’ experiences—not just flipping burgers.